When done with, both are stored in a box. Leaves viewers with a smile. The body lacks great color. One's a book, one's a body...duh. When the comic of the day sits in your hand your joy of picking up Scott Snyder's fun take on American vampires turns to slight anger as you feel Hulk-like due to the weightlessness of American Vampire #6. The issue is extremely thin and unnaturally light for a $4 comic book. 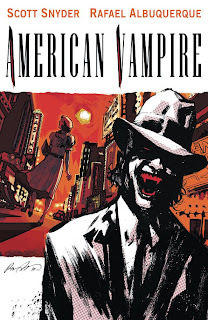 The previous issues of American Vampire included a second story written by Stephen King, but the current American Vampire #6 is a solo creation by Snyder and offers a single story. While the issue lacks many advertisement pages, it does not have the amount of pages usually associated with a $4 comic book. 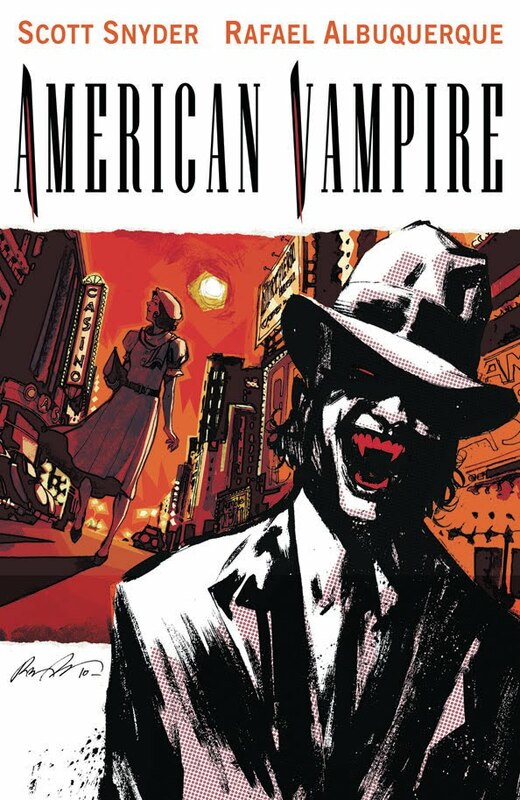 Lucky for readers, the story by Snyder and the exceptional pencils of Rafael Albuquerque and coloring by Dave McCaig make the book's price easier to swallow: like fresh blood down a vampire's throat the contents of American Vampire #6 go down smooth and refreshing. The Albuquerque and McCaig pairing adds to the time period covered in American Vampire by establishing a believable setting. McCaig's tones also establish that we are not dealing with an action packed superhero romp, but rather a more subtle tale of dark mystery and dread. Though American Vampire #6 is thin and depressing to look at, the innards are worth the poking around your $4 dollars will allow you.